We are very excited to announce that we are the first in Des Moines to bring you a brand new American-made frame line! 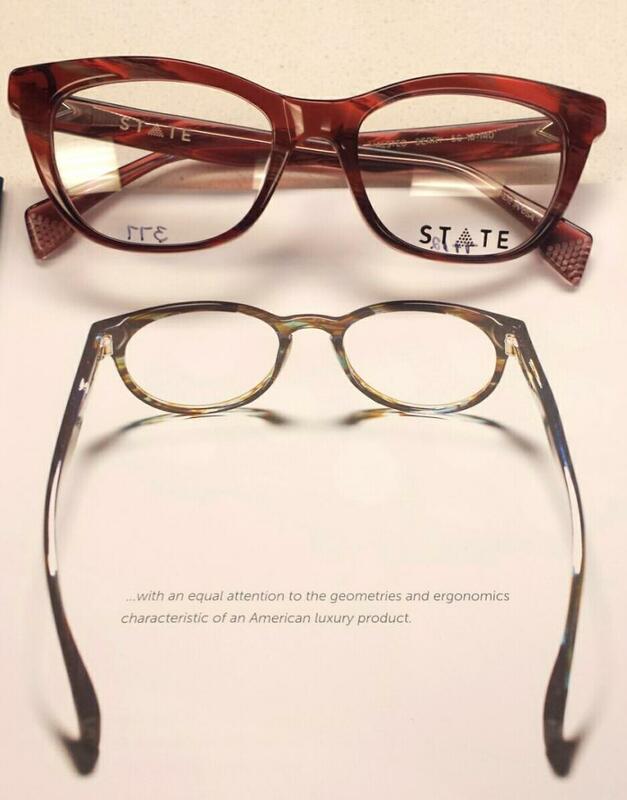 These unique and stylish frames are made at State Optical in Chicago. We have chosen to offer this frame line to our patients because of the excellent quality and design technology. 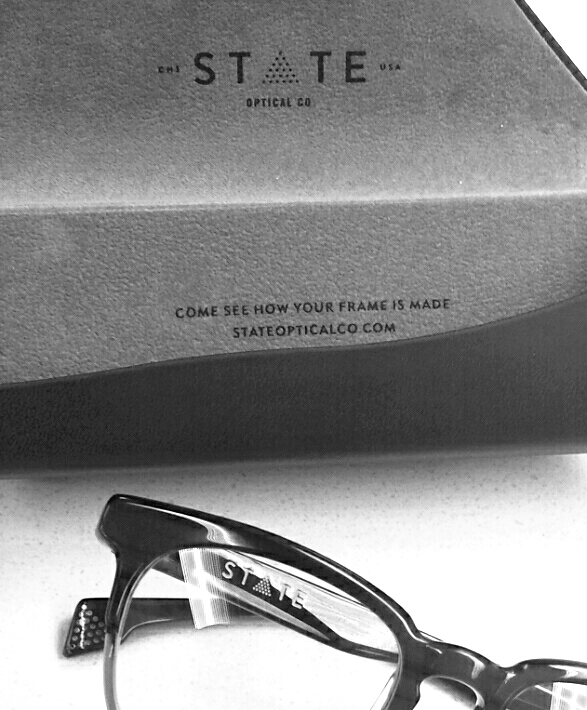 Visit www.stateopticalco.com to read their story, see their designs, and even to schedule a tour to see how your frame was made! Saturdays: We are open most Saturdays from 9 am to 1 pm, but we recommend calling to check availability. Open 9 am - 2 pm on 12/31 and closed January 1st for New Years. 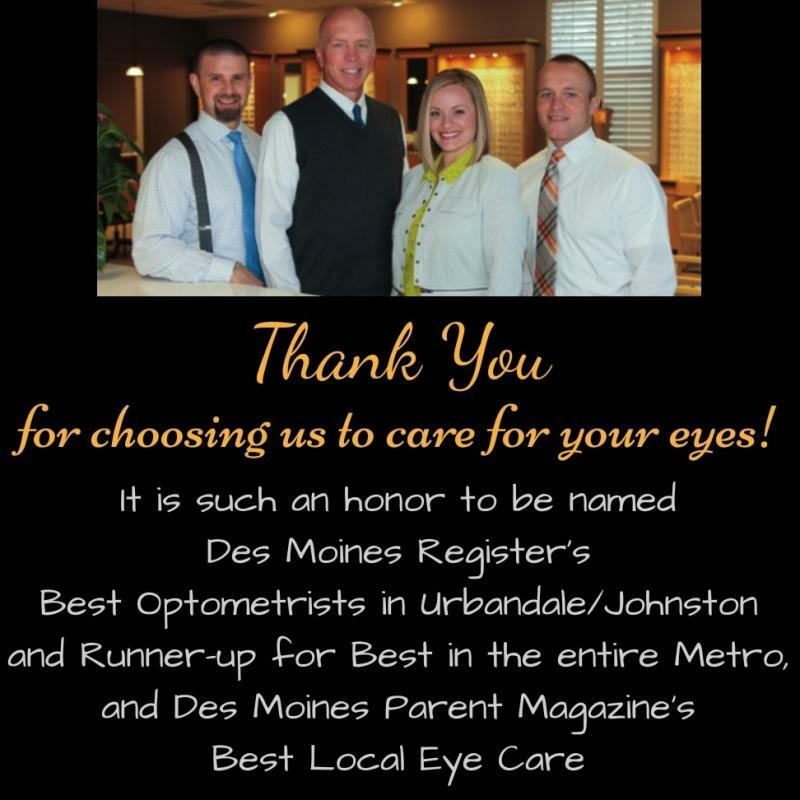 Copyright 2012 Urbandale Eye Care. All rights reserved.